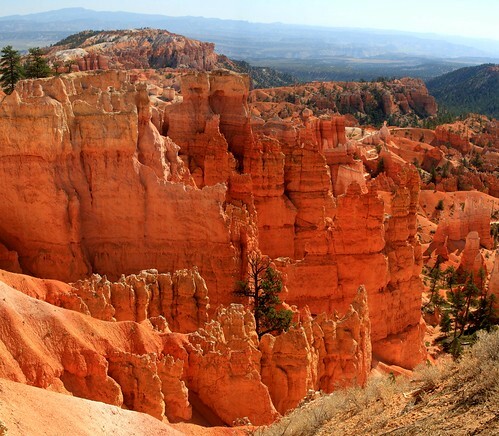 Try to look for a spot in a mountain where you can spend the night peacefully in a place like Bryce Canyon National Park? Here are some tips to helping find the best spot and how to put up your tents in cold weather. Make sure that there are no sharp objects, ants, bees, or other harmful things in the surroundings. If you’re ever going to Bryce and want to go camping, might I suggest combining that with a stay in a lodge in Bryce? By combining some excellent lodging with a camping trip is the best combo. Pay attention to your surroundings and always have a sense of direction. Use a compass to help you. Also, knowing your directions may also guide you in knowing and predicting the air direction. This is important in knowing where you will face in setting-up your tent. If you want to sleep peacefully and quietly, stay away from the common restroom, the campfire, or any place where other campers would often pass. Try to avoid camping in the low area of the mountain. This is the part of the mountain that will be flooded first if ever it will rain. If you want to camp near the sea, remember that while it is in an open air, temperature can quickly change instantly. Avoid camping near the river, water can quickly rise in this area during rain. If you will be camping with kids, make sure that there is an area big enough for them to play their sports or swim, or do any activity during their free time. Walk the children along the whole campsite so that they may be familiar with their surroundings. You may also show them the areas where they are prohibited. Be vigilant in guarding the children, make sure that none of them will wander off. Make a head count from time to time. Check if any of the children has a particular allergy. You might want to know that before deciding what foods to bring. Allow the kids to set-up their own tent. You may only guide them. It is always a challenge to find a good place to set-up camp during winter time especially when the snow are already deep. However, it is not impossible despite this kind of harsh weather condition. For example, you can find a campsite where the wind can easily blow the powder snow or even if the snow is already deep but still manageable, then you can push the snow with your shoes or other equipment. Setting-up of tents with traditional pegs on a snowy or frozen land will not be possible. What you need is an alternative. You may use special pegs that are made especially for snowy terrains. These pegs are longer and more durable. You may also use a trekking pole tent as your shelter. In order to avoid drifts of snow from getting inside your tent, make sure that you have set-up your tent facing the direction of the wind and not against it. If camping on a mountainous place, you should be careful in selecting a campsite. You should be wary of a possible avalanche and its path. Therefore, you should only set-up camp on areas that are protected against avalanches. It is important that you avoid setting up camp on cavities and valleys because as temperature increases in other places, the snow melts and usually cause avalanches and ends up in these places. It will also be good to ask any local or experts in the area about the chances of any avalanche happening while you are camping.